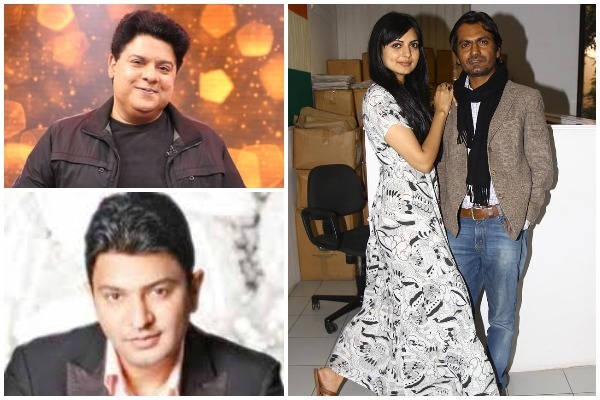 Actess Niharika Singh unveils the abusive faces of industry including name of his ex-boyfriend Nawazuddin Siddique, director Sajid Khan and T-Series Bhushan Kumar. #MeToo movement which was made prominent by an American actress, Alyssa Milano via twitter, has now spread it’s limbs across many countries and the Indian Subcontinent is no exception. Like many other actors, finally the winner of Femina Miss India Beauty Pageant 2005, unveiled the black side of glamour industry. Niharika Singh wrote a long post explaining her forceful sufferings and has accused 3 so called certified faces of Indian industry. Her posts were further shared by journalist Sandhya Menon on Twitter. She says she determines to write this long post to “expand my own understanding of what constitutes abuse, who we choose to punish and whom we are willing to forgive”. She further says how she has seen the pervert forms of abuses since childhood. Rs 500 Crore Ponzi Scam: Shah Rukh Khan, Nawazuddin Siddiqui Under CBI Scanner! Niharika Singh blames her ex-boyfriend and actor Nawazuddin Siddiqui for repeatedly trying to get physically connected with her despite her unwillingness. Nawaz and Niharika shared a bond which was pure enough for her but lustful enough for the man on the other side as she penned, “One morning, when I was home and he had been shooting all night, Nawaz sent me a text saying he was near my building. I invited him over and asked him to come and have breakfast with me. When I opened the door, he grabbed me. I tried to push him away but he wouldn’t let go. After a little coercion, I finally gave in. I wasn’t sure what to make of this relationship. He told me it was his dream to have a Miss India or an actress wife, just like Paresh Rawal and Manoj Bajpayee. I found his little confession funny but endearing,” she writes. “In the next couple of months, I began to discover one lie after another. Nowaz had engaged multiple women, giving each one a different story; one of them even called me from his phone and started yelling at me. I also found out about a woman he’d married in Haldwani, whose family had sued him for making dowry demands. I told him to clean up his mess, be honest with himself and everyone around him; also that I did not want to see him again.”. She further says how Nawaz in his memoir “An ordinary life” tried darkening her character. It was aided by Ritupatna chatterjee and published by Penguin Random House. A senior actress Sunita Rajwar filed case against Nawaz after which he makes a brief apology and withdrew the book. Nawazuddin Siddiqui Slapped With Rs 2 Crore Notice By Ex-Girlfriend Sunita Rajwar! Also, in the hitlist is Sajid Khan, who has been a guilty face of various other charges under hashtag MeToo. He tried demoralize the lady with his filthy statements, as written by the actress ‘This place will shut down within a year, mark my words.’ To his actress girlfriend he said, ‘She won’t survive a day without me in Bollywood’. ‘And, this one’, looking at me straight, ‘will soon commit suicide.’ He said all this when one of their mutual friend was opening her 2nd restaurant. Though his predictions proved to be useless, Niharika’s life has been much better now. She also mentioned in her post about her family life where her parents never shared cordial relationship with each other. In her initial days she fell in love with an unworthy man, Mayank Singh Singvi, who tried to bluff her but she managed to come out if it. Her write up has shown her courageous survival through all the roughness life threw at her. Niharika and other women accused Siddiqui of making up lies in his autobiography, due to which he withdrew the book.